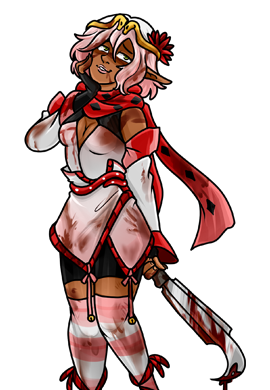 Bei Mei Xhir’t, also known as ‘Queen of Blood’, first appeared in Azveltara Z. One of Lyn Azveltara's top assassins, she loves swords and cutting flesh. She has an Az Warrior tattoo of a Blood Snake Queen. Bei was last seen in the final round of Fighting Power 8, defeating Kuroyami.